Echo Park Stamps - Make an impression with these beautiful stamps! 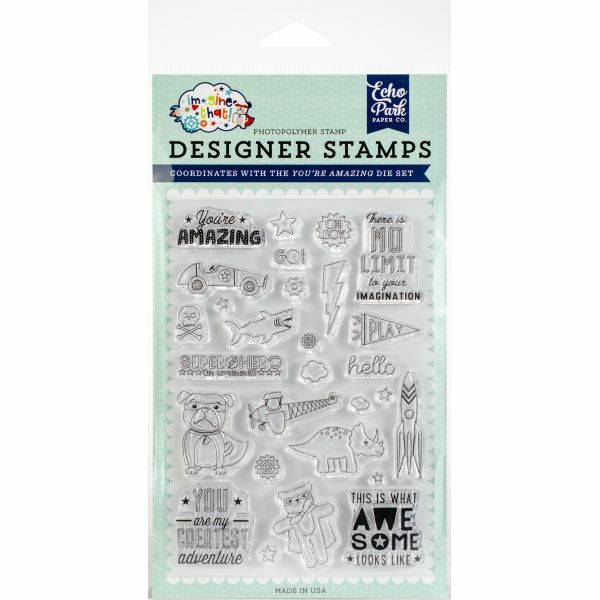 These clear, photopolymer designer stamps are of the highest quality. For use with acrylic stamping blocks and stamping ink (not included). 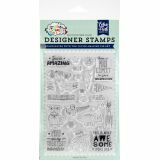 This package contains You're Amazing: a set of 28 stamps on a 4x6 inch backing sheet. WARNING: Choking Hazard. Not suitable for children under 3 years. WARNING: May contain items with sharp edges. Handle with care. Made in USA.